Paper Crafts by Candace: Happy Birthday Hipster! Happy Wednesday! 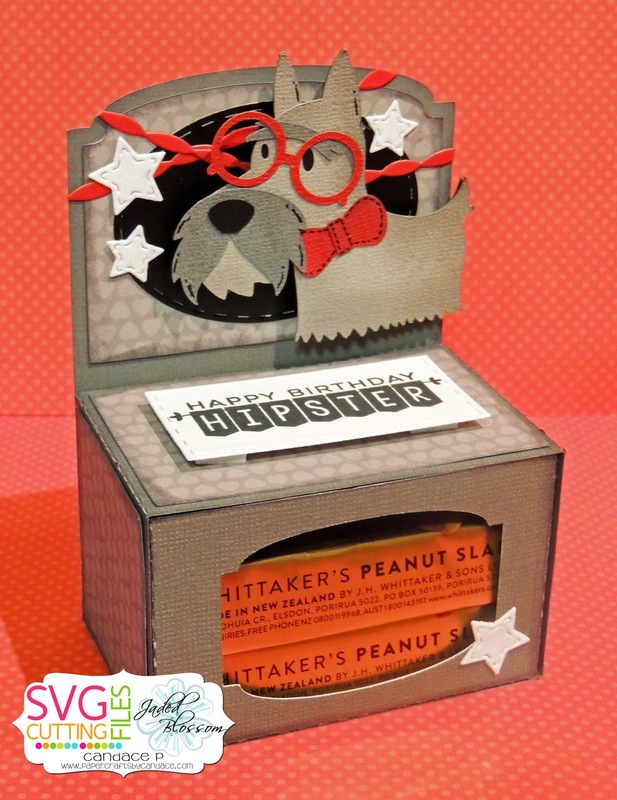 Today is my day over at SVG Cutting Files and I have a FUN new file to share with you! This file is called the Arched Drawer Box. I wanted to show you a picture of it pre-decorated because there are so many themes you can use this for! First one that pops out to me is a Tombstone for Halloween! But really any holiday or occassion would be great. 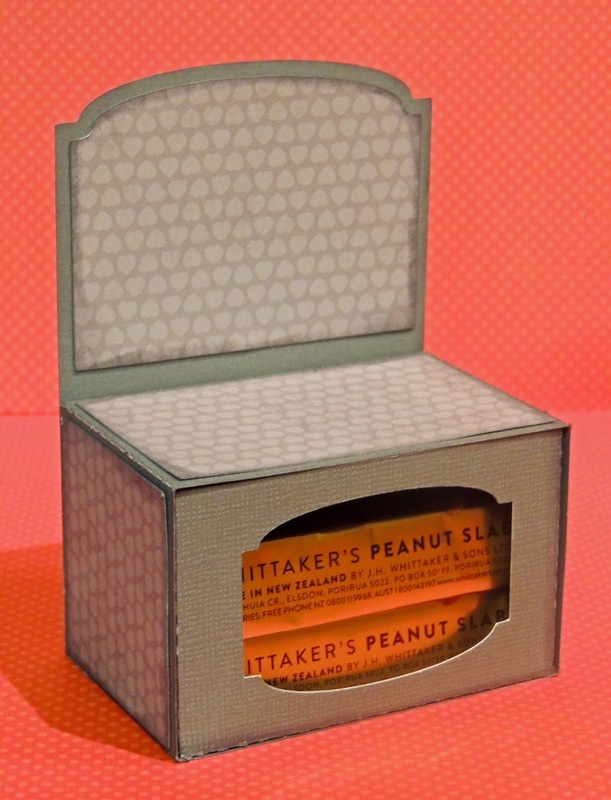 And here is how I used it for a project. I am loving Black, Red and White combo right now and the grey helps tie everything together. 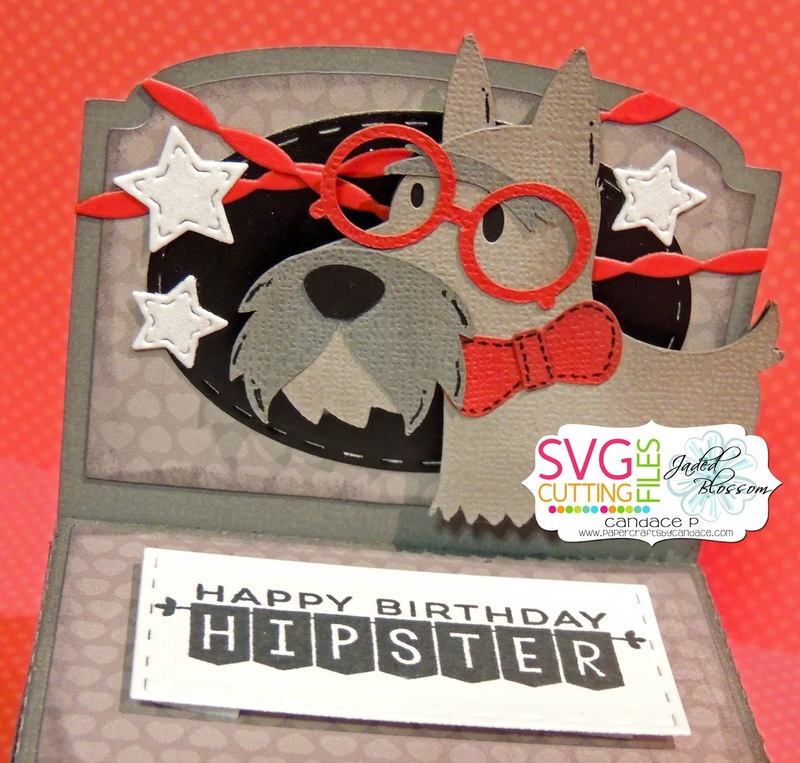 I also used this cute Hipster Scotty Dog from SVG Cutting Files Here is a close up.. Thanks so much for checking out my project today! Make sure to head over to the store on Friday to purchase this new file!